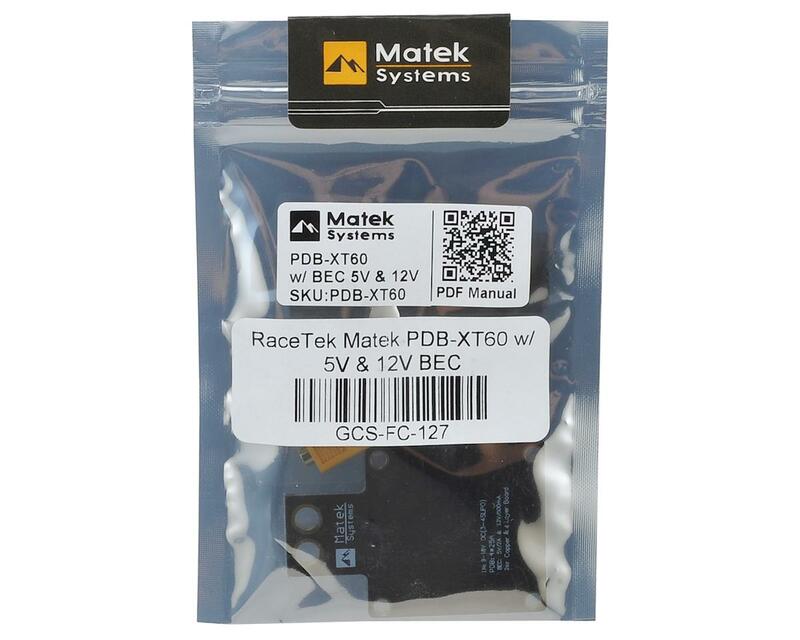 The RaceTek Matek XT60 PDB is suited for 150-250mm FPV Racing Quads which includes an integrated XT60 mount directly built into the power board. 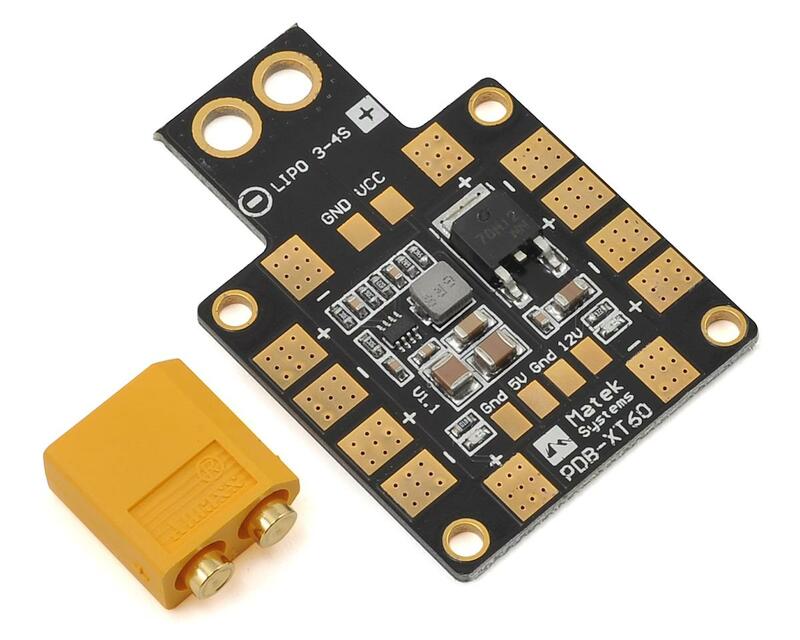 Additionally the PDB includes regulated 5V & 12V outputs to power all of your critical electronics on your FPV quad. Matek has no interest in helping their end users. I bought two Matek VTX's, one lasted a few flights, the other was DOA. They refused to RMA the product. I'm absolutely sure that if you bought it from amain hobbies, they'd have your back, but matek, the manufacturer does not care about you. amain support is awesome, helped me several times. If you think you may need support from the manufacture, stay away from matek. My experience is their VTXs fail prematurely or arrive defective.